Discover the Byzantium wonders and Ottoman treasures in Istanbul. Fly to Trabzon to see the 4th century Sumela Monastery. From Trabzon, drive to Batumi and Tbilisi, both in Georgia. Discover the architectural treasures such as cathedrals, fortresses, churches and basilicas. 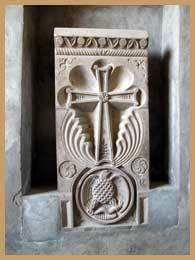 Cross the Armenian border to explore the monasteries, churches, and museums in Yerevan. June 08: Departure from Los Angeles, NYC, Washington D.C., Chicago or Toronto. After breakfast transfer to Sadakhlo border. Arrive to Armenia-Georgia border. Meet by your guide and bus at the Sadakhlo border.